A kit that includes everything from a matched set of pistols with silver bullets to wooden stakes and a mallet recently hit the market. New Jersey-based International Military Antiques posted the one-of-a-kind Vampire Defense Kit this month on their site. Tied to Sir Philip Burne-Jones, an English painter who specialized in portraits that included one of Rudyard Kipling, the kit dates to about the 1890s when Burne-Jones was working on his painting, The Vampire, which came out the same year as the Gothic horror classic, Dracula by Irish author Bram Stoker. The painting later proved one of Burne-Jones’s best-known works. 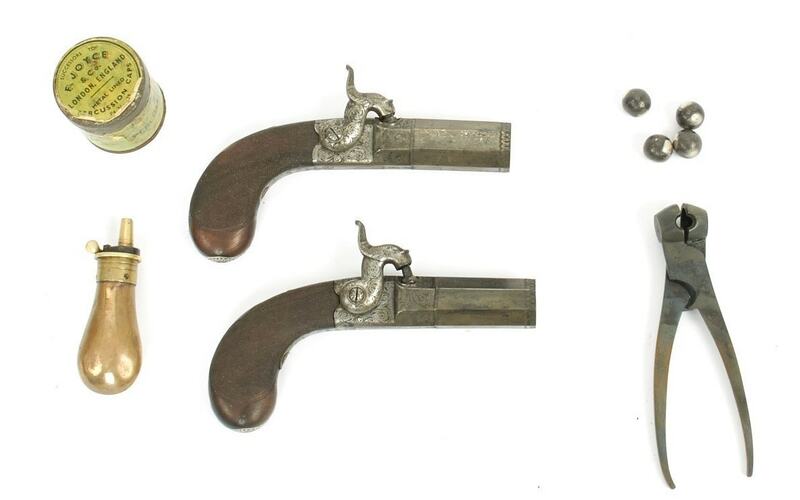 The pistols include a brass powder flask, iron bullet mold and a supply of tarnished “silver” balls. 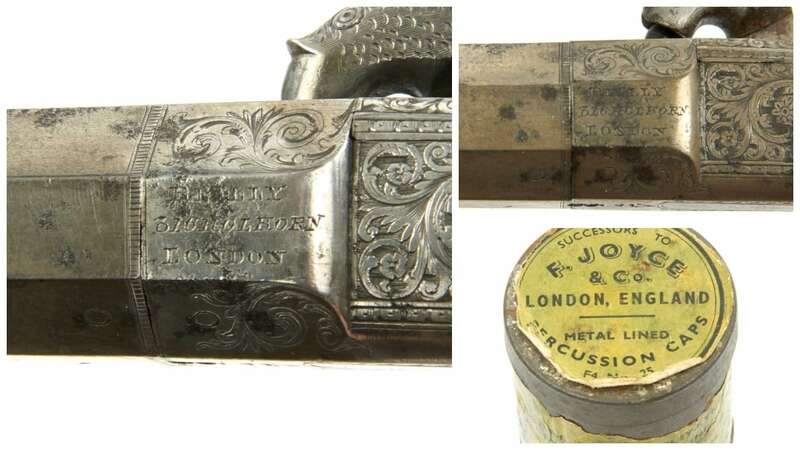 The matching guns, in working condition, are marked “Reilly of London” and date to the 1860s, along with their “F. Joyce & Co.” London-marked tin of caps. 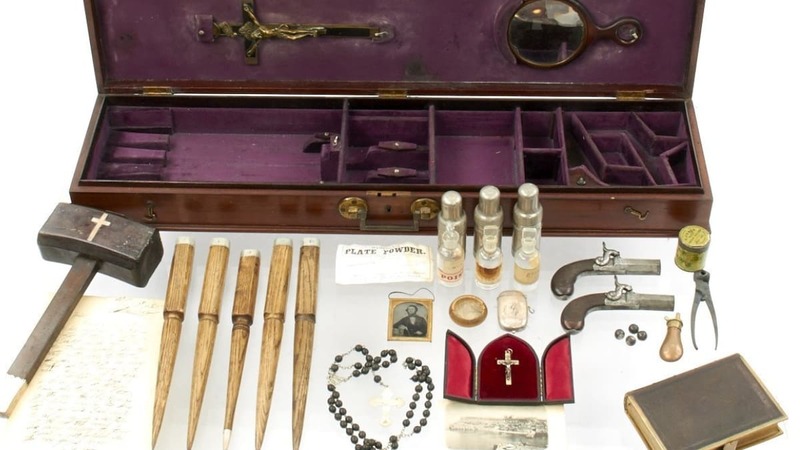 The kit’s contents includes correspondence referencing what could be the female model for The Vampire from author Arthur Conan Doyle, creator of the Sherlock Holmes series, in addition to its supply of weaponry. Alex Cranmer of IMA, probably best known for his appearance with his father on the NatGeo show Family Guns, researched the set for the History Channel’s Pawn Stars show, lending a bit more of a spotlight to it. Asking price? $25K, garlic not included.